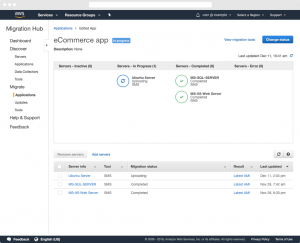 In my previous blog posts, we introduced how you can use AWS Server Migration Service (AWS SMS) to migrate a popular commercial off the shelf software, WordPress into AWS. For details and a walkthrough on how setup the AWS Server Migration Service, please see the following blog posts for Hyper-V and VMware hypervisors which will guide you through the high level process. In this article we are going to step it up a few notches and look past common the migration of off-the-shelf software and provide you a pattern on how you can use AWS SMS and some of the recently launched features to migrate a more complicated environment, especially compression and resiliency for replication jobs and the support for data volumes greater than 4TB. 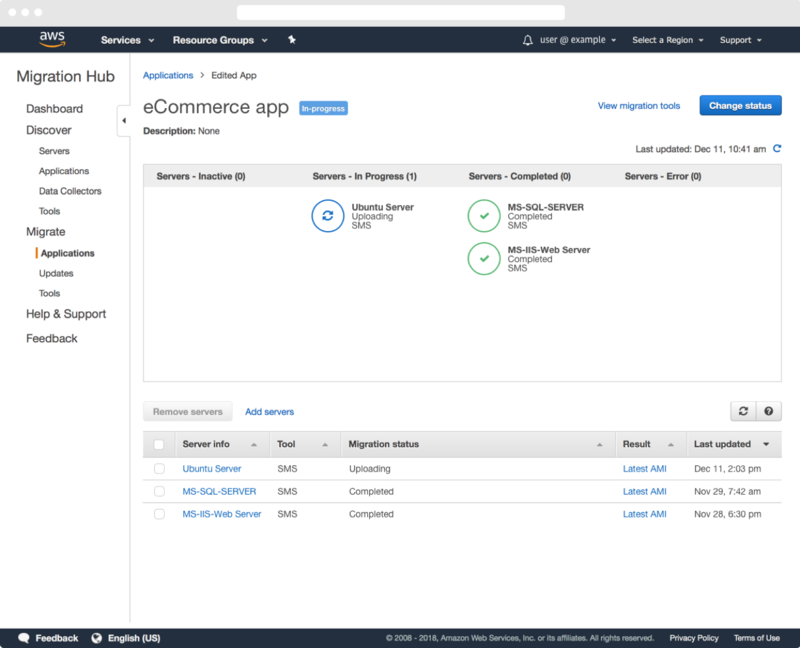 This post covers a migration of a complex internally developed eCommerce system comprising of a polyglot architecture. It is made up a Windows Microsoft IIS presentation tier, Tomcat application tier, and Microsoft SQL Server database tier. 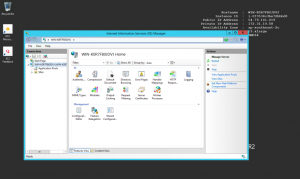 All workloads run on-premises as virtual machines in a VMware vCenter 5.5 and ESX 5.5 environment. This theoretical customer environment has various business and infrastructure requirements. • Licensing: The customer has renewed their Microsoft SQL Server license for an additional 3 years and holds License Mobility with Software Assurance option for Microsoft SQL Server and therefore wants to take advantage of AWS BYOL licensing for Microsoft SQL server and Microsoft Windows Server. Key elements of this migration process are identical to the process outlined in my previous blog posts and for more information on this process, please see the following blog posts Hyper-V and VMware hypervisors, but a high level you will need to. • Establish your AWS environment. 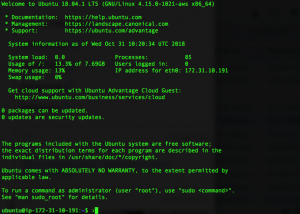 • Download the SMS Connector from the AWS Management Console. • Configure AWS SMS and Hypervisor permissions. • Install and configure the SMS Connector appliance. 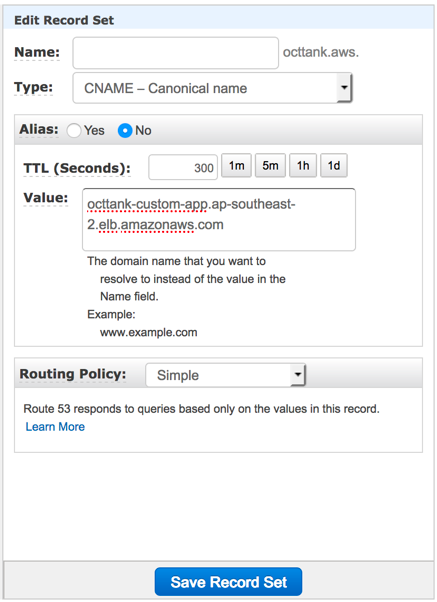 • Change your DNS records to resolve the custom application to an AWS Elastic Load Balancer. 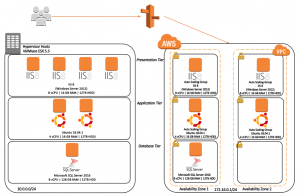 Once you have downloaded and configured the AWS SMS connector with your given Hypervisor you can get started in creating replication jobs. The artifacts derived from our replication jobs with AWS SMS will be AMI’s (Amazon Machine Images) and as such we do not need to replicate each server individually and that is because we have a three-tier architecture that has commonality between servers with multiple Application and Web servers performing the same function, and as such we can leverage a common AMI and create three replication jobs. After validating that the SMS Connector is in a “HEALTHY” state, import your server catalog from your Hypervisor to AWS SMS. This process can take up to a minute. Select the three servers (Microsoft SQL Server, Ubuntu Server, IIS Web server) to migrate and choose Create replication job. AWS SMS now supports creating replications jobs with frequencies as short as 1 hour, and as such to ensure our business RTO (Recovery Time Objective) of 2 hours is met we will create our replication jobs with a frequency of 1 hour. This will minimize the risk of any delta updates during the cutover windows not completing. Given the businesses existing licensing investment in Microsoft SQL Server, they will leverage these the BYOL (Bring Your Own License) offering when creating the Microsoft SQL Server replication job. The AWS SMS console guides you through the process. The time that the initial replication task takes to complete is dependent on available bandwidth and the size of your virtual machines. After the initial seed replication, network bandwidth requirement is minimized as AWS SMS replicates only incremental changes occurring on the VM. The progress updates from AWS SMS are automatically sent to AWS Migration Hub so that you can track tasks in progress. 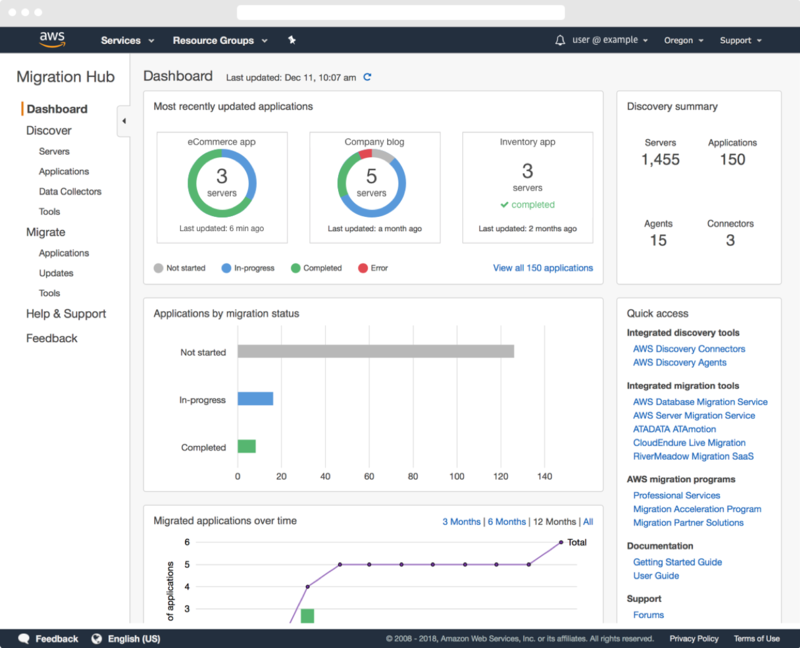 AWS Migration Hub provides a single location to track the progress of application migrations across multiple AWS and partner solutions. 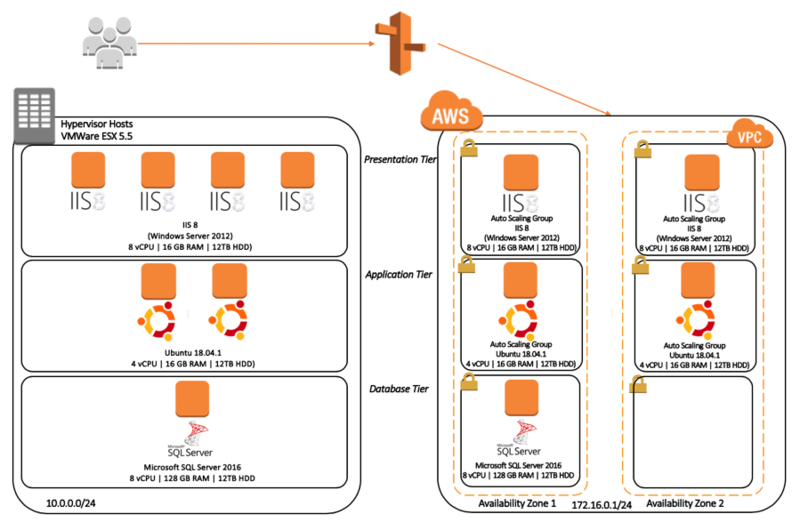 In this post, we are using AWS SMS as a mechanism to migrate the virtual machines (VMs) and track them via AWS Migration Hub. The dashboard reflects any status changes that occur in the linked services. You can see from the following image that two servers are complete whilst another is in progress. Thirty hours after creating the replication jobs, notification was received via AWS SNS (Simple Notification Service) that all 3 replication jobs have completed. During the 30-hour replication window the customers ISP experienced downtime and sporadic flapping of the link, but this was negated by the network auto-recovery feature of SMS. It recovered and resumed replication without any intervention. With the replication tasks being complete. 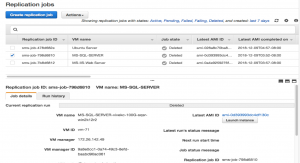 The artifact created by AWS SMS is a custom AMI that you can use to deploy an EC2 instance. 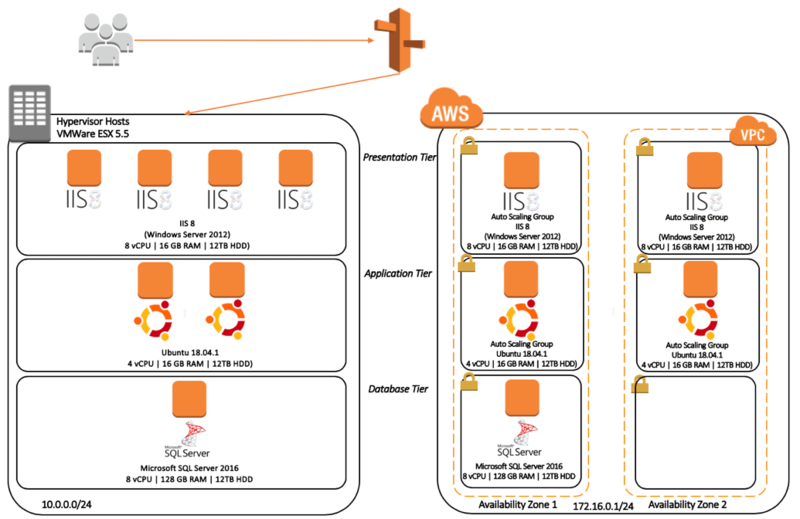 Follow the usual process to launch your EC2 instance, noting that you may need to replace any host-based firewalls with security groups and NACLs and any hardware based load balancers with Elastic Load Balancing to achieve fault tolerance, scalability, performance and security. 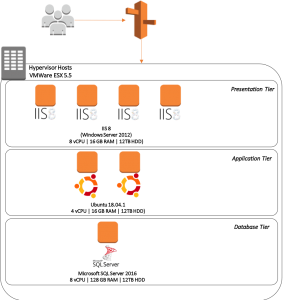 As this environment is a 3-tier architecture with commonality been tiers (Application and Presentation Tier) we can create during the EC2 Launch process an ASG (Auto Scaling Group) to ensure that deployed capacity matches user demand. The ASG will be based on the custom AMI’s generated by the replication jobs. When you create an EC2 instance, ensure that you pick the most suitable EC2 instance type and size to match your performance and cost requirements. While your new EC2 instances are a replica of your on-premises VM, you should always validate that applications are functioning. How you do this differs on an application-by-application basis. You can use a combination of approaches, such as editing a local host file and testing your application, SSH, RDP and Telnet. For our Windows Presentation and database tier, I can RDP in to my systems and validate IIS 8.0 and other services are functioning correctly. 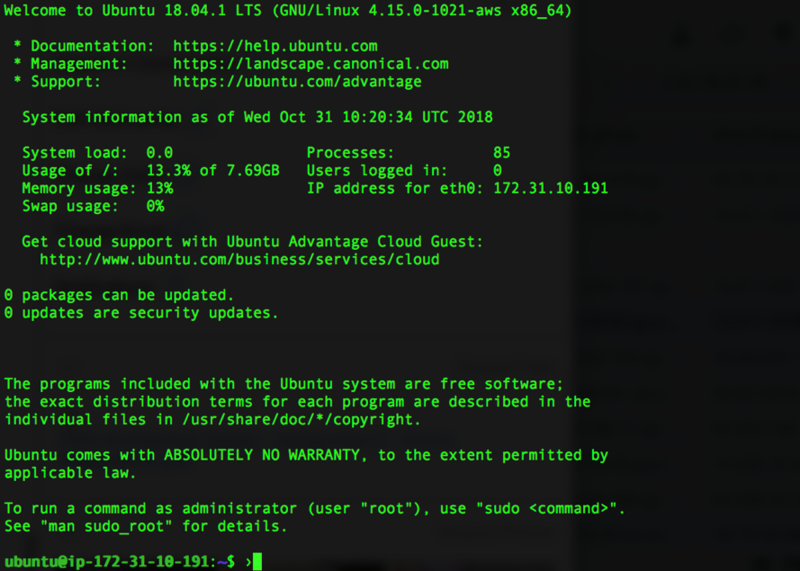 For our Ubuntu Application tier, we can SSH in to perform validation. Post validation of each individual server we can now continue to test the application end to end. This is because our systems have been instantiated inside a VPC with no route back to our on-premises environment which allows us to test functionality without the risk of communication back to our production application. After validation of systems it is now time to cut over, plan your runbook accordingly to ensure you either eliminate or minimize application disruption. 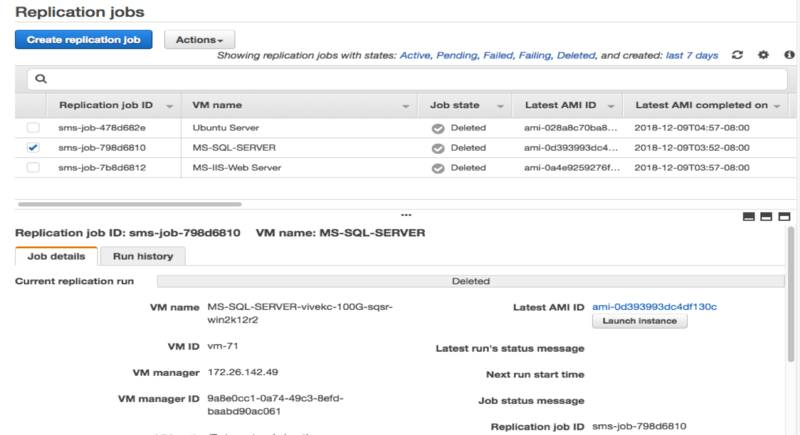 As the replication window specified in AWS SMS replication jobs was 1 hour, there were hourly AMI’s created that provide delta updates since the initial seed replication was performed. The customer verified the stack by executing the previously created runbook using the latest AMIs, and verified the application behaved as expected. After another round of testing, the customer decided to plan the cutover on the coming Saturday at midnight, by announcing a two-hour scheduled maintenance window. During the cutover window, the customer took the application offline, shutdown Microsoft SQL Server instance and performed an on-demand sync of all systems. This generate a new versioned AMI that contained all on-premise data. The customer then executed the runbook on the new AMI’s. For the application and presentation tier these AMI’s were used in the ASG configuration. 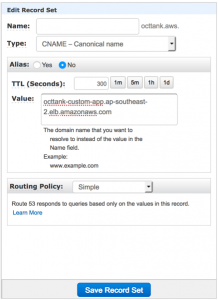 After application validation Amazon Route 53 was updated to resolve the application CNAME to the Application Load Balancer CNAME used to load balance traffic to the fleet of IIS servers. Based on the TTL (Time To Live) of your Amazon Route 53 DNS zone file, end users slowly resolve the application to AWS, in this case within 300 seconds. Once this TTL period had elapsed the customer brought their application back online and exited their maintenance window, with time to spare. After modifying the Amazon Route 53 Zone Apex, the physical topology now looks as follows with traffic being routed to AWS. 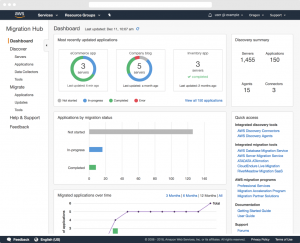 After validation of a successful migration the customer deleted their AWS Server Migration Service replication jobs and began planning to decommission their on-premises resources. This is an example pattern on migrate a complex custom polyglot environment in to AWS using AWS migration services, specifically leveraging many of the new features of the AWS SMS service. Think big and get building!